When you look at the evolution of mobile technology on a broad scale, the retail industry probably isn’t the first industry that comes to mind. However, when you begin to study the relationship between mobile and retail – specifically the influence smartphone technology has had – the picture gets a bit clearer. Over the past decade, we’ve seen a dramatic shift in how people use technology and the ways in which they interact with brands in digital capacities. Traditionally, internet use and online activity have been predominantly rooted in desktop computers or laptops. This is no longer the case. 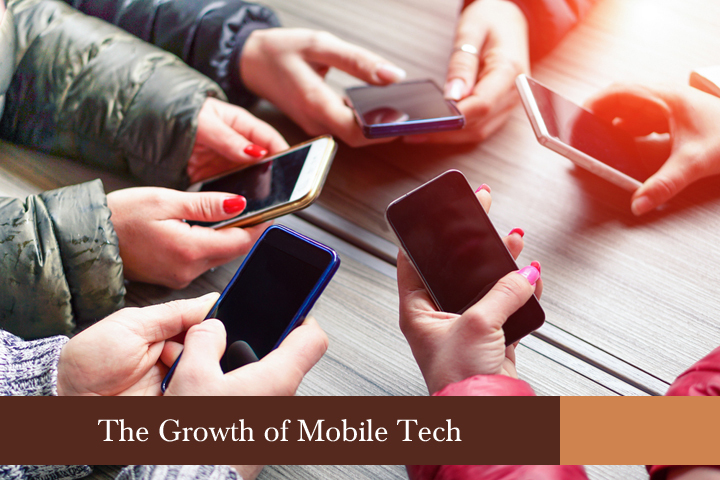 Mobile technology has grown tremendously in recent years and has significantly changed everything in its path. According to data from Pew Research Center, nearly two-thirds of Americans own a smartphone, while 19 percent rely on these devices for accessing online services and information. As much as 7 percent own a smartphone but have no broadband service at home. Globally, the number of mobile-only internet users actually surpasses the total number of desktop-only internet users. The growth of mobile adoption can be connected to two major developments. First off, smartphone technology has greatly improved the last couple of years, which makes browsing the internet and conducting different tasks easier and more intuitive. Secondly, more and more people – including those outside of the millennial age bracket – are finally comfortable with the idea of using mobile devices for text messaging, browsing the internet, and conducting other everyday tasks. While progressions in mobile technology and the evolution in how people view mobile communication has changed almost every aspect of business, it’s interesting to study the influence it’s having on retail in particular. Let’s analyze a few specific ways mobile technology has changed retail forever. In the past, if a business wanted to engage a customer, they had to place a phone call to the customer’s home or office, send out an email, mail a letter, invest in a print advertisement, or meet with them in person. With mobile technology – and specifically SMS – this is no longer the case. According to research we gathered for RetailWeek, there are 7.3 billion people on the globe and 6.1 billion have a device capable of handling SMS. In other words, 84 percent of the world’s population can be reached anywhere, anytime. It’s fair, then, to say that SMS provides a nearly universally ubiquitous touch point. As a result, the face of retail has been permanently altered. While you obviously have to go through the proper protocol of having customers opt-in to receive text messages, you technically have the ability to send marketing or customer service messages whenever you need to communicate with customers. This is extremely advantageous and has altered the way in which many retailers conduct business. You may think that mobile technology has only impacted online shopping, but it’s actually had a huge influence on in-store shopping as well. Research shows that 80 percent of smartphone users want mobile-optimized product info while they’re shopping in-store. There’s no time for retailers to resist these changes. “Brands that don’t connect with consumers using mobile technology are losing sales, period,” Slyce continues. “Studies show that mobile technologies have already disrupted the retail industry and are impacting companies from all sectors.” Brick and mortar retail has been forever changed. And while the end result remains to be seen, it appears to be for the better. For decades, retailers have operated under the assumption that the single most important thing is getting a customer in the door and encouraging them to make a purchase. The belief has always been that it’s far easier and more cost-effective to attract repeat customers than first-time purchasers. And while there is some truth here, the growth of mobile technology has spun this idea on its head. Today, retailers are smarter to put the emphasis on loyalty first and acquisition second. Mobile technology – including SMS, social media, and even apps – has allowed for more personal relationships between brands and customers. As such, successful customer acquisition models are focused more on steady communication and less on hooking people. The average modern customer tends to shop both online and offline. And while they recognize the fundamental differences between the two, they’ve become accustomed to the conveniences ecommerce offers, and want those same benefits when shopping in-store. This is where beacons and location-based advertising techniques enter the picture. This technology is just in its infancy, but the ramifications are massive. In the future, brick and mortar retailers will attempt to hold their ground by tapping into technologies that were previously reserved for ecommerce. At OpenMarket, we are considered one of the leaders in mobile communications. Four of the top ten global brands currently use our mobile engagement solutions to interact with both customers and employees. With our platform, businesses are able to offer customer support, marketing promotions, emergency alerts, shipping notifications, user authentication, and much more. If you’re looking to usher your retail business into the age of mobile, then you need to partner with a company that has a firm grasp of the industry and the technology involved. Please feel free to contact us today and we’d be happy to tell you more about the role of mobile engagement moving forward.